If you have a Lego fan in your life, this could be a great gift! 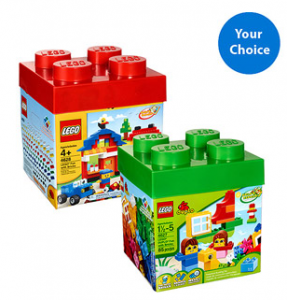 Walmart.com is offering your choice of a 600 piece Lego building kit or an 85 piece Lego Duplo Building kit for $25! Either set will provide hours of creative entertainment and both products are eligible for FREE shipping when you choose Store Pickup. Be sure to check out the rest of Walmart.com’s Cyber Deals, too!